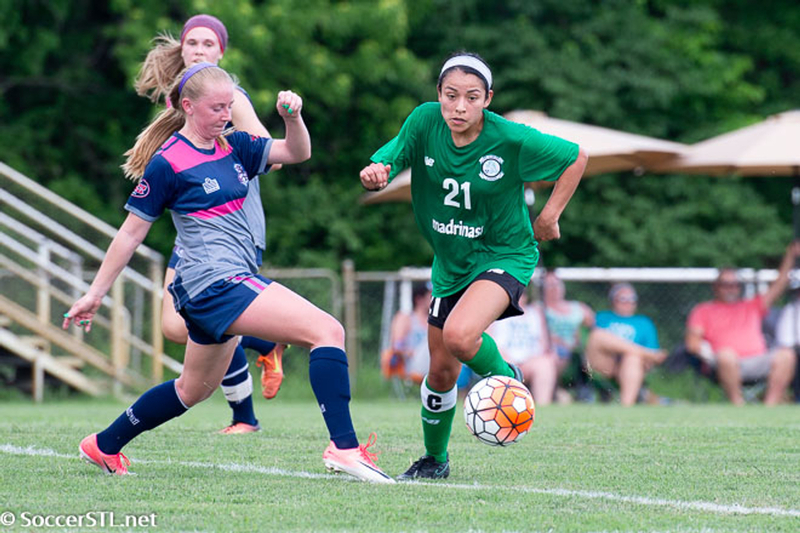 SoccerSTL.net: "St. Louis Lions WPSL Debut against Springfield Demize"
The St. Louis Lions opened their inaugural season Sunday in front of a crowd of 150 plus and typical Lion’s weather – over 90 degrees and humid. Their opponent, the Springfield Demize, are also a first year program and like the Lion’s roster below are made up of primarily college players now being offered a Summer development opportunity to prepare for their next college season. There are some notable exceptions, with Christina Rodriguez the most exciting. Rodriguez, who developed under her father’s tutelage within the Tony Glavin SC, returns to competitive play after graduating from St. Louis University a year ago. St. Louis Lions WPSL Debut against Springfield Demize.